Lifeguard themed surf party at Surf House Boardriders, Patong Beach! Come have with our very own Baywatch crew and receive All Day Happy Hours privilege when you come sporting yellow or red apparels! 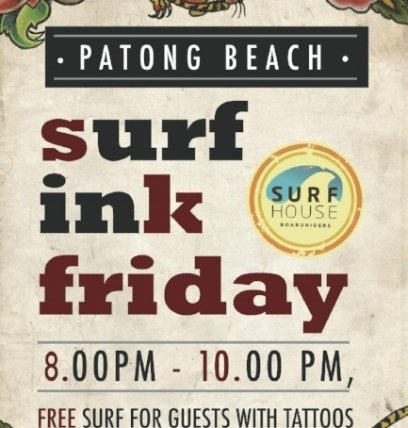 If you are rocking a tattoo proud and merry, swing by for a FREE SURF at Surf House Boardriders, Patong Beach from 8.00pm - 10.00pm. Absolute best bet for your Thai Baht to meet the tattoo community of Phuket! Its all about the GIRLS on Friday at Surf House Boardriders, Kata Beach. 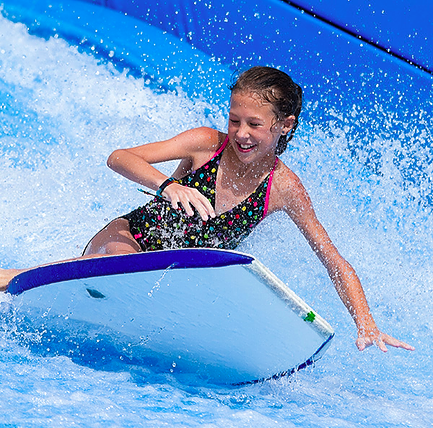 FREE SURF for GIRLS, 8.00pm - 10.00pm. Don’t miss the good vibes of our amazing crew, DJ and Happy Hours. On Sundays, let the kids out! Juniors 15 years old and below special with 2 Hour for the price of 1, All Day… Every Sunday!. Organising a party is never easier (& cooler!). Surf House Boardriders with its surf themed attraction and delectable food and drinks is the place to be if you are looking for a unique, fun and memorable event. Suitable for up to 10 guests, the SURF BASH 10 is an easy choice to make if you are looking for a great time without breaking the pockets! Boasting rights unlocked! You heard it right, Surf House Boardriders levels you up as the party maker as it carves into the memory of your guests how epic the party was. SURF BASH 20 fits a group of 20 guests easily with the upsized surf session and respectable buffet spread. Let your hair down and bring on the party with Surf House Boardriders! Surf House Boardriders owns the battle honour of catering to a wide range of group sizes since 2012. Armed with our famous surf activity, culinary extraordinaire and the coolest crew on the island, possibilities are forged here! For a more tailor-made approach for group size of 200 and above, get in touch and manage your cost and satisfaction right from the onset.